BEND, OR -- It may still look like winter in some parts of Central Oregon, but local law enforcement agencies are preparing now for the summer boating season. 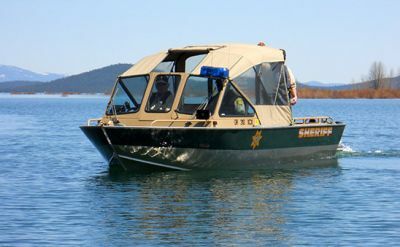 The Deschutes County Sheriff's Office starts free mandatory boater education training classes Friday at the Sheriff's Office in Bend, from 6-9 p.m. Other classes will be held on May 11, June 8, July 13 and September 14. Click HERE for more information. Boaters can have watercraft inspected from 9 a.m. to 3 p.m. Saturday at Big Country RV in Redmond, Sportsman's Warehouse in Bend and the La Pine Sheriff's Substation. The Crook County Sheriff's Office will also conduct free boat inspections at Ray's Food Place in Prineville, Saturday from 9 a.m. to noon. For more information on boater requirements, visit BoatOregon.com.